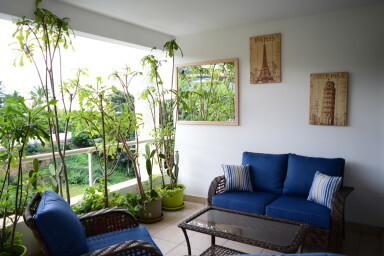 In a quiet residence in the immediate vicinity of the city, this fully renovated apartment with a large terrace is the ideal seasonal rental for a stay near the capital Papeete. 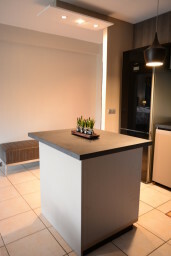 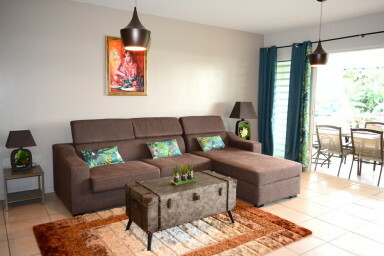 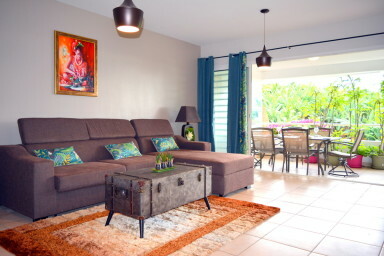 The Kai apartment, freshly renovated and refurnished, in a high standing unit in a quiet residence just 5 minutes from Papeete, is on the 3rd and last floor of a secure residence. 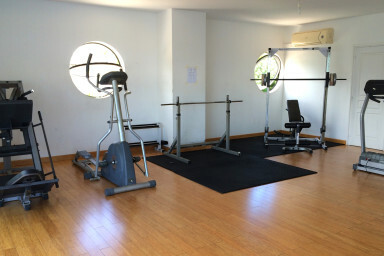 It has a large pool and solarium with a splendid view of the port of Papeete, a well-equipped gym, all under the supervision of a guard 24 / 24h. 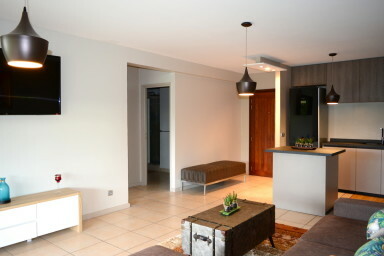 With an area of ​​about 60 sqm this charming Kai apartment has a bedroom, a living room and a very large terrace. 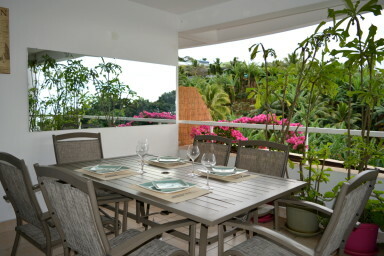 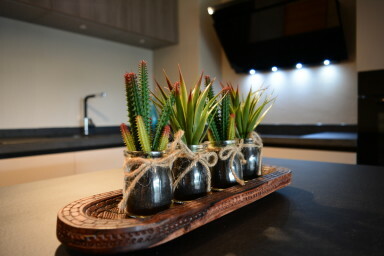 Fully equipped and tastefully decorated, it features a brand new high-end kitchen and quality furniture. 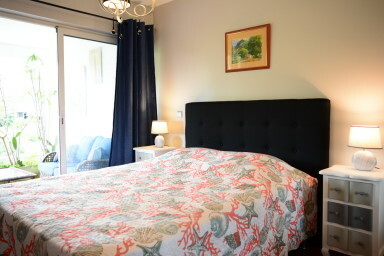 It consists of a large bright main room with the kitchen and its central island, the living room with a spacious sofa bed opening into a queen size bed. 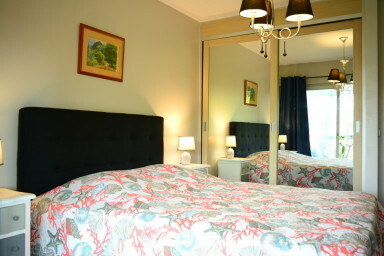 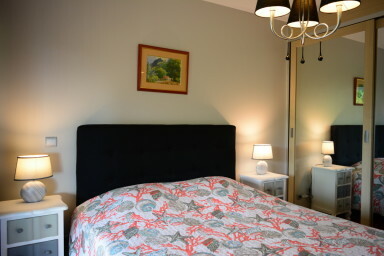 The air-conditioned bedroom has a double bed with its nice bedside tables and a large closet. 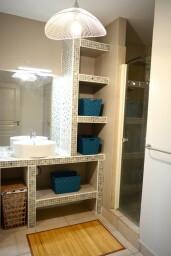 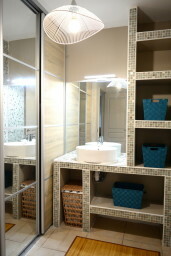 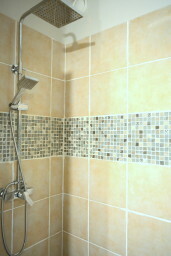 The bathroom decorated with pretty mosaics has a shower, a separate toilet and a large closet acting as a wardrobe, storage and laundry. 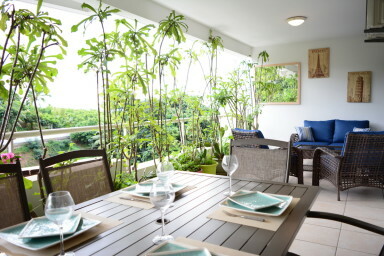 The terrace is the highlight of this apartment. 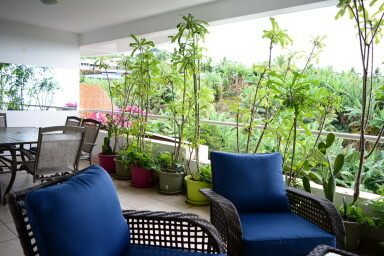 Almost 20 sqm, it is furnished with many plants giving it a "jungle" atmosphere and preserving its privacy, a large dining table for 6 people and a pleasant outdoor seating area. 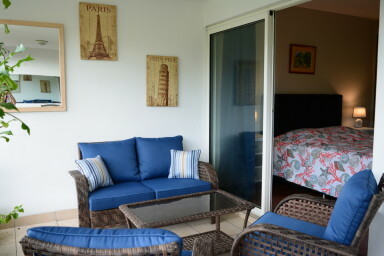 The mirrors on each side make sure to see the sea from any angle of the terrace, this is also the meaning of "Kai": "ocean" in Hawaiian language that gave its name to this beautiful holiday rental. 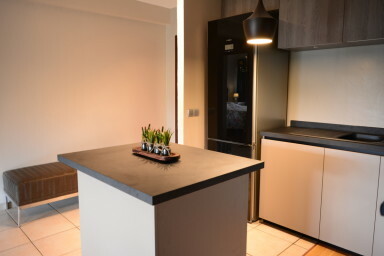 The Kai apartment also offers travelers an unlimited WiFi and broadband internet connection, a flat-screen TV and a private underground parking. 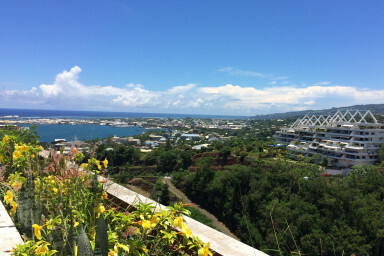 To get to the apartment it is essential to have a vehicle even if a path from the bottom of the residence and accessible only on foot, leads to the entrance of the city of Papeete in a few minutes. 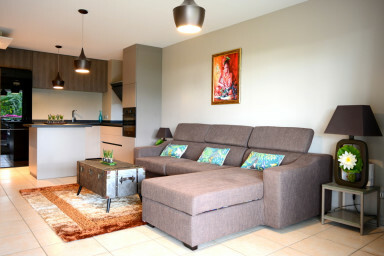 - 15 minutes from Pk 18, the most beautiful white sand beach on the west side of Punaauia. 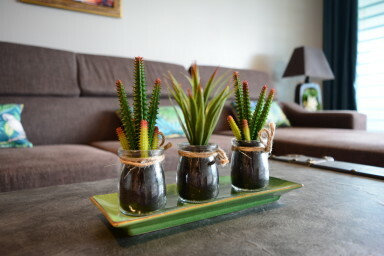 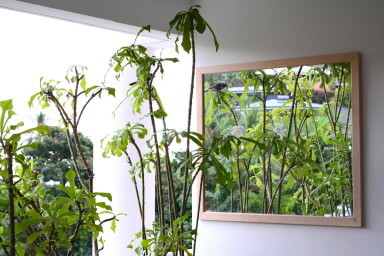 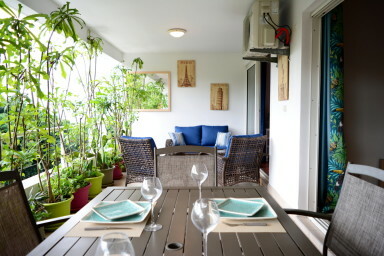 The Kai apartment and its tropical jungle side is the ideal seasonal rental for leisure stays or business trips because economic and close to the city, it enjoys absolute calm and a prime location. 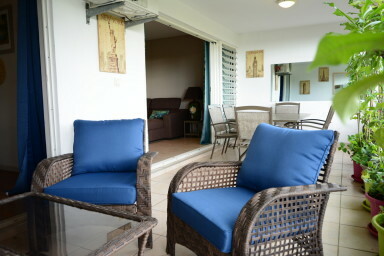 NB: the swimming pool currently under renovation will not be accessible until mid-2019. 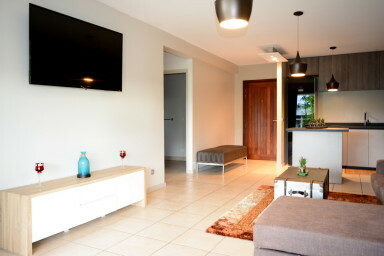 L'appartement F2 Kai a été parfait pour mon séjour de 15 jours sur Tahiti. 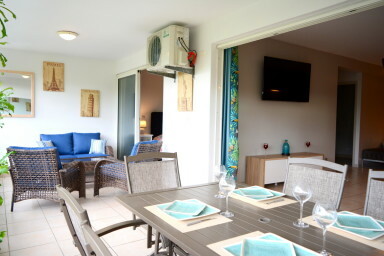 Il est bien situé et donne rapidement accès à la RDO (route principale) pour se rendre sur le centre ville de Papeete ou sur la belle plage de PK18. 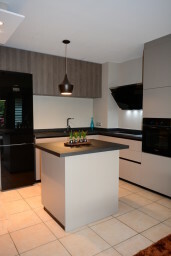 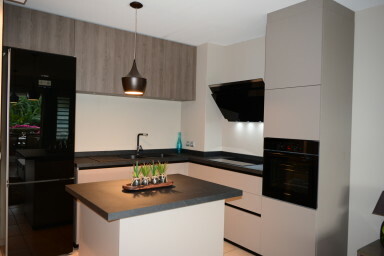 L’intérieur est décoré avec gout et surtout très fonctionnel (malgré la lampe suspendu de la cuisine un peu basse ; ). 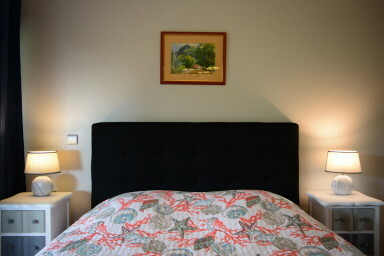 J'ai été content de pouvoir trouver tout le nécessaire pour me sentir chez moi rapidement. 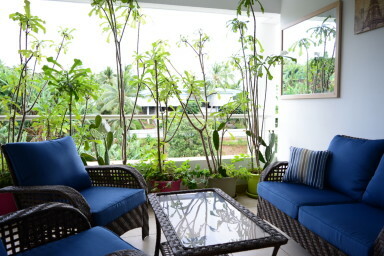 This is a convenient location: close to the airport & shopping. 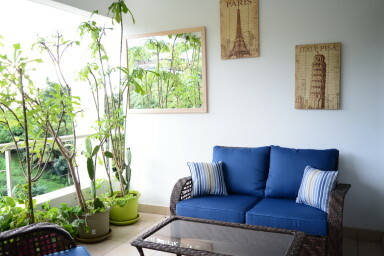 This complex is gated with an additional gate to the parking garage. 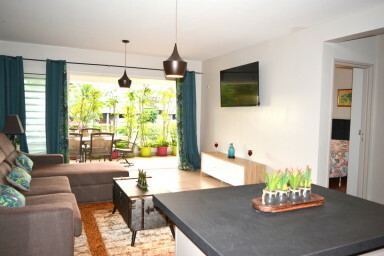 The unit is spacious with a large outside lanai. 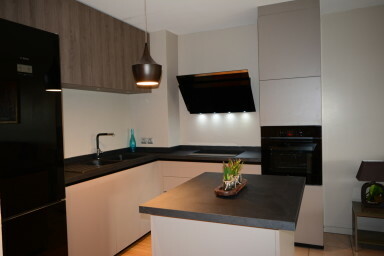 Bon accueil et bel appartement, agréablement aménagé et tès bien situé.